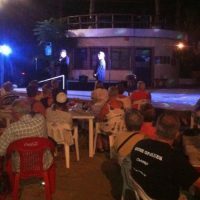 There are many fabulous restaurants and locations in Puerto Vallarta where you can savor a delicious meal and also enjoy the sounds of live music while you dine. Wondering where to start? With something for every budget, continue reading below to learn more about some of our top recommended restaurants with live music in Puerto Vallarta. Located in the Plaza Peninsula near the Hotel Zone, Porfirio’s is a newer restaurant with modern, contemporary decor and live mariachi on some evenings. Are you searching for the perfect spot for a romantic meal or unforgettable dining experience for your next visit to Cabo San Lucas, Mexico? 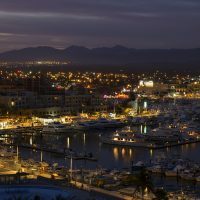 Cabo San Lucas is well regarded as a top tourist destination in Mexico due to its excellent year round climate, beautiful beaches and fabulous restaurants. If you are looking for a truly unique dining experience in Cabo San Lucas, the Sunset MonaLisa is the premier restaurant for upscale Mediterranean food in Los Cabos with a view that is impossible to beat. With hurricane season arriving in Mexico along with the heat and humidity, did you know that there are other names given to similar storms in other parts of the world? 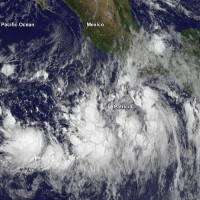 ‘Typhoon’, ‘hurricane’ and cyclone are regional names for the same kind of storm. They are all special names given to tropical cyclones —large regional storm systems forming over warm tropical ocean water and rotating around a central eye—that have grown strong enough to have very damaging effects.